I hate feet. I hate all things about feet. I can not stand people touching my feet BUT I love baby feet. I could kiss baby feel all day long. I just wish I could treasure their feet forever. 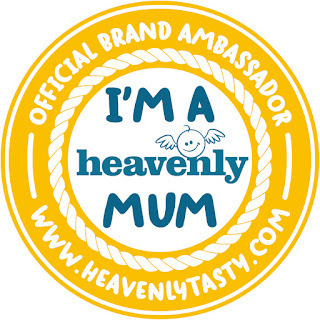 Well now I can as I eventually (yes we have been talking about it for a while) ordered myself some jewellery from Hand On Heart Jewellery. 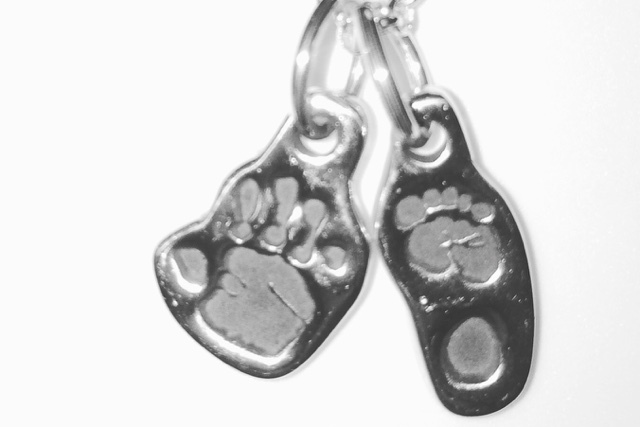 Of course I love baby hands too so when I had to decide between getting jewellery with M's hand print versus footprint I just couldn't decide so I ordered a footprint charm and a handprint charm and for £75 for two charms on a necklace I just could not resist (50% off helped too!!). I had anticipated the whole process to take a long time - having to wait for print kit to us, then send back, then being made, then delivered but in actual fact from ordered to receiving the necklace it took a grand total of 10 days. The print kit was sent out next day and I was surprised to find that I could take a picture of the prints (or a scan) and email them back rather than post them so this helped speed the process up (and you get to keep the original pictures). M has never been a huge fan of having hand prints done and I was worried that the handprints were a bit smudged but the clever people at Hand on Heart Jewellery can clean up smudges well. The whole process was mess free - you just wipe hands (or feet) with a special cloth and put on the paper. Voila. After emailing back the prints you just have to wait and that wait is not long. As I say it was 10 days from order (which I did late at night) to delivery and this included a bank holiday weekend. 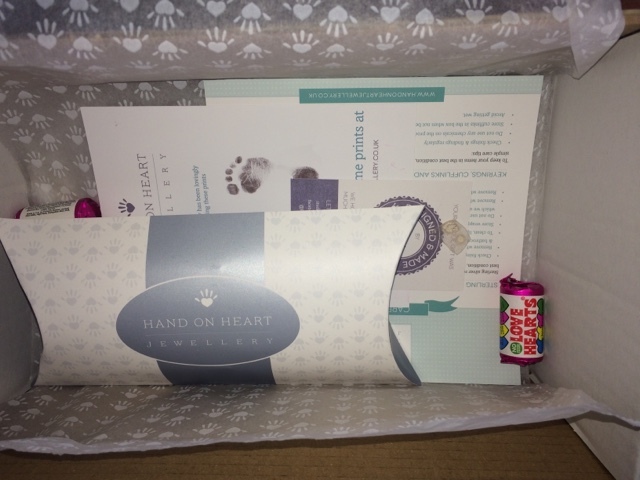 The package came in quite a large box but included, in addition to the jewellery in a lovely presentation package, some Love Hearts (thanks guys what a nice surprise), a copy of the prints that were used and can be used in the future also, and information on who made the jewellery (thanks Ellie is is lovely). There are also care instructions. The charms are lovely (but so hard to photograph). The handprints are darkened so you can really see them so well and I just love that they are personal to me. On the back you can have initials engraved so I got M done. I could not wait to put my necklace on and can't wait to have the same made for Button when he or she arrives. I think the best thing about this is that it is personal to the person receiving them. Something you can treasure forever. I love how personal they are and that I know they are M's (and Buttons once here).